Pub day re-posts – Joyce's mystery and fiction book reviews with some non-fiction too! PLEASE NOTE THAT I LOVED THIS BOOK! Much has been written about Ernest Hemingway and his wives but no-one writes about them better than Paula McLain, whose new novel is about Ernest Hemingway and Martha Gellhorn. I thought that this author’s debut novel, The Paris Wife, was a wonderful book; it told the story of the young Hemingway and his first wife, Hadley. The author beautifully captured Hadley’s voice. When I started Love and Ruin, I wondered if Ms. McLain would be able to again capture the essence of an historical character…she does! Martha Gellhorn and Hemingway initially meet in Florida. They become closer when traveling to Spain during the Civil War, a war which is hearbreakingly portrayed in the novel. Hemingway and Gellhorn travel together to Cuba, Florida, Europe during WWII, Utah, etc. with each locale coming alive. World events unfurl in their presence. This is also the story of a relationship; what is it like to be in the orbit of a truly charismatic person? Is that enough? How does one maintain a sense of identity? Gellhorn, a writer and reporter of merit, struggles as a relationship of equals becomes less so. There is love and yes, ruin, in the coming together and apart of these two historical personages. The reader is a witness to the joys and struggles of this couple. 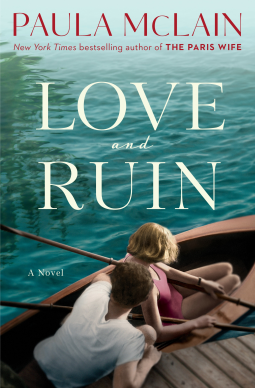 I highly recommend Love and Ruin. It is one of the finest historical novels that I have read. Thanks for this one NetGalley! It was special. This is such an appealing book! 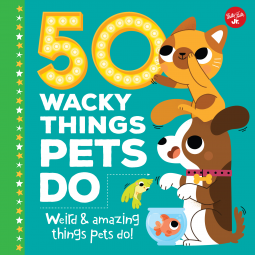 Children who love their pets, and animals in general, will enjoy the short entries that explain why animals do the things that they do. There are entries about cats, dogs, horses, pigs, ferret…snakes. You get the idea. The illustrations are bright and appealing. This is a book that a child can read alone but that adults will also enjoy. I kept shouting out facts to my husband as I read this and I am about as adult as I ever will be!